A contest for making the best smoke bomb (small scale of course). You can make your own with directions online. The last one was making rainbows preparing extracts from fruits and vegetables, then adding acids and bases. The photo shows the winning rainbow. 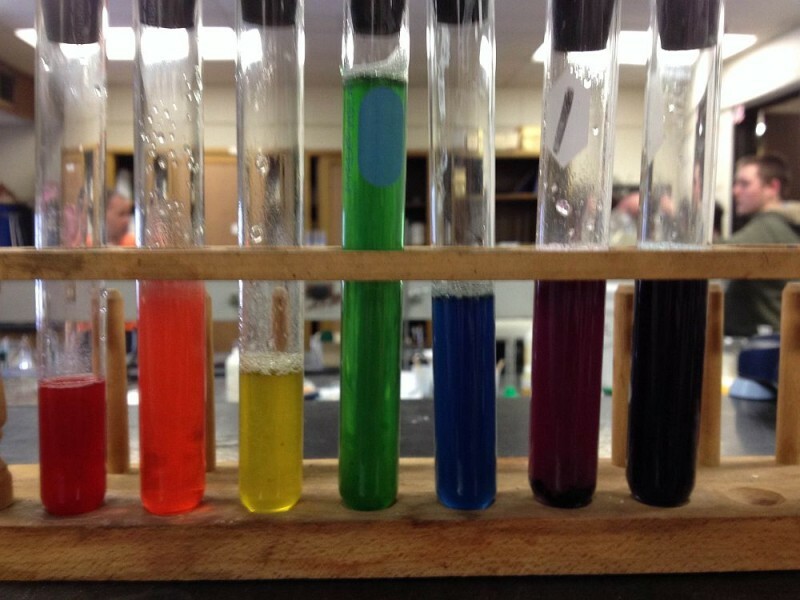 The activity was based on the April 2013 article “Plant Pigment Identification: A Classroom and Outreach Activity” by Garber, Odendaal, & Carlson in the Journal of Chemical Education. The activity uses items from the grocery store like red cabbage, radishes, cranberries, concord grape juice, and blackberries.